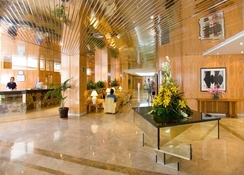 The Aguamarina Golf Hotel is a luxury hotel featuring 306 rooms that include elegantly decorated doubles and suites. 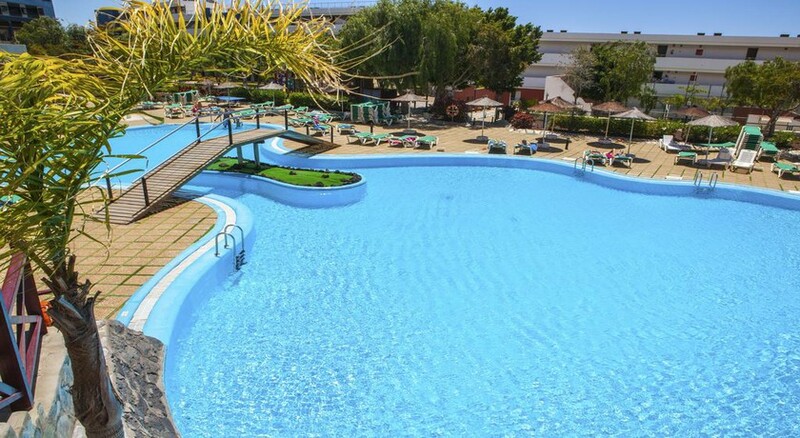 With a plethora of facilities, including a fitness centre, sauna, indoor heated pool, salt water pool, tennis and paddle court, light house bar, pool bar and buffet restaurant, this hotel falls short of nothing. It offers many more facilities with extra charges that include rent-a-car, excursions, medical attention and mini club – What more could guests ask for? As the name of the hotel suggests, this is a perfect place to stay for golf lovers. 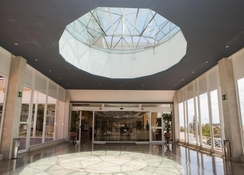 Although the hotel is right in front of the Atlantic Ocean, most of its surrounding area is occupied by golf courses namely Golf del Sur and Amarilla Golf. 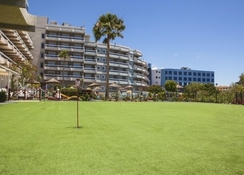 The Aguamarina Golf Hotel is exceptionally situated opposite to the Atlantic Ocean and in between two golf courses. 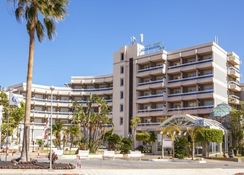 As the hotel is centrally situated, it makes it easier for the guests to visit numerous attractions, golf courses, shopping malls, airports and beaches. 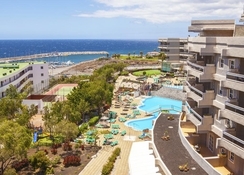 To name a few: Tenerife South Airport (7.8km), Tenerife North Airport (72km), nearest beach (150m), Golf Las Americas (16.8km), Golf Costa Adeje (24.7km), Golf Los Palos (13.5km) and Playa de Las Americas (18.9km). The rooms at Aguamarina Golf Hotel are categorized as Single Room, Double Room and Family Room, which will make all the guests find something suitable. Room amenities are the same in all the rooms, including complete bathroom, air conditioner, direct phone, satellite TV and Wi-Fi connection (for free), mini bar (for rent) and safe (for rent). The hotel houses a buffet restaurant that satisfies the carvings of different guests from all across the world. With a world of cuisines to offer, the Aguamarina Golf Hotel’s buffet restaurant will take your dining experience to the top-most level. Additionally, there are two thematic restaurants offering you delicious food and drink. 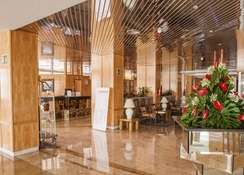 There are two bars in the hotel, one of which is a pool bar, which is open to serve refreshing drinks during summer. The Lighthouse Bar serves water, soft drinks, house wine, beer and numerous local alcoholic and non-alcoholic beverages. The sports and leisure facilities surpass the guest’s expectations with a fully-fledged fitness centre, indoor heated pool, salt water pool, paddle court, tennis court, rent a car, excursions, water sports and much more. Kids too can have a lot of fun in the mini club, which is open during school holidays. Apart from this, the golf green fees booking is exclusively available for the hotel’s guests, which will ultimately let you enjoy golf to the fullest. Trip to Tenerife Agumar Golf hotel.Dan Miguel. Great time here.gorgeous food lovely staff .loved this place and will be back..